Yale University Press, 9780300055368, 1392pp. Everything you've ever wanted to know about the nation's most fascinating city is now available in this authoritative and entertaining one-volume encyclopedia. 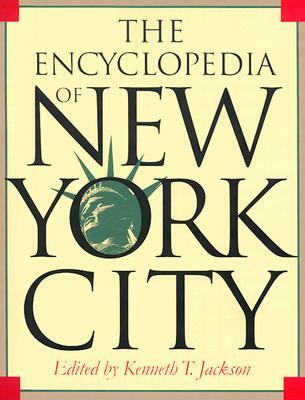 The only comprehensive reference work on New York City ever compiled, it covers subjects throughout the five boroughs from prehistory to the present. The encyclopedia contains more than 4300 alphabetically arranged entries by more than 650 contributors, along with nearly 700 illustrations and maps, many of which are previously unpublished. A wide range of topics is covered: architecture, government and politics, business, religion, weather, the arts, education, transport, the law, science and medicine, and sports and recreation. Entries reflect the city's colorful past and present, describing hundreds of neighborhoods and immigrant groups as well as more than a thousand figures from all fields and historical periods. The encyclopedia displays the richness and diversity of New York City as they have never before been documented. Overseen by an editorial board composed of distinguished scholars and experts and edited by one of the leading urban historians in the nation, it is an indispensable resource for residents and visitors alike.